A new classic, the Fidelity Collection by Vera Wang is characterized by delicately cut traditional patterns on a more simple contemporary shape; showcasing the brilliant clarity of fine crystal in a new, contemporary form. 6 Oz. capacity. 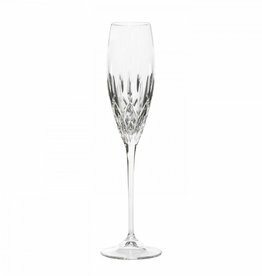 Vera Wang Fidelity Champagne Flute - 6 Oz.